Men's fashion is so exciting right now. 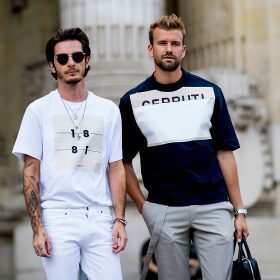 With streetwear brands on the rise and established labels offering better choices than ever before, there has never been a better time to shop for men's clothing. Looking for the basics? Tops & T-shirts are good places to start. Sort by new arrivals to find the latest drops from your favourite brands and shops. No matter what climate you are in, we have something for you here on Fashiola. Use the filters to find exactly what you are looking for or browse the entire category for inspiration.